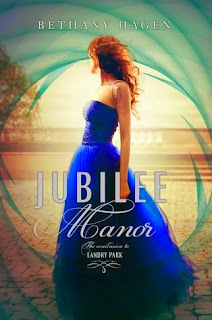 Welcome to the blog tour for Jubilee Manor by Bethany Hagen! 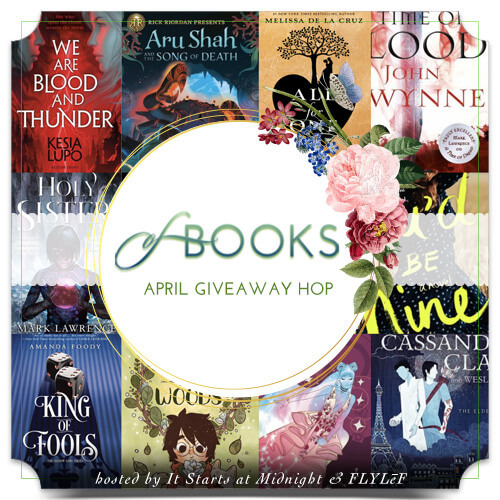 This is the first of two blog tours I'm participating in for this book - with Rockstar Book Tours, and the other with the publisher (that will be a fun post)! Check out my review below, and enter to win the duology! I think I liked this book even more than I liked Landry Park. I really enjoyed Landry Park! I can definitely see how one would want to compare it to Catherine Fisher's Incarceron (which I LOVED) or Diana Peterfreund's For Darkness Shows the Stars (which I also loved). The setting is unique and full of intrigue, and the protagonist is full of cleverness and strength. So much love! Madeline is determined to find a way to get the Rootless and the gentry to work together. Both sides are hostile and wary. When the murder of gentry heirs begins, the gentry and Uprisen turns to blame the Rootless, including Madeline (though for good reason). But many don't agree, like Jack and David, and Madeline's relationship with David hangs in the balance. Will war break out, hearts be broken, heirs continue to be killed, before it's too late to stop the storm? I am a huge fan of Madeline! 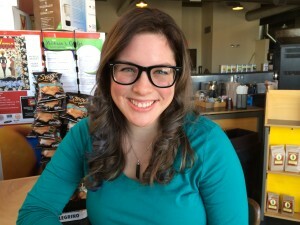 She is clever and strong like I mentioned above, but there is this innate curiosity, drive, intelligence, and dedication that I absolutely love about her. She puts her duty to finding a solution to the Rootless and gentry's issues first, even going against the opinions and thoughts of the boy she loves, Captain David Dana. She stands on her own two feet, something that she struggled a bit to do in Landry Park (thinking of her and her father). Speaking of... the romance is probably one of my favorite aspects of this duology, if not my favorite. If you thought David and Madeline were swoony in Landry Park... things get even swoonier in this book. And maybe not physically, in terms of intimacy; there's something fundamentally beautiful about their relationship. They fight a lot in this book. They argue and get mad with and at each other, and it's not about things like jealousy over another guy/girl. Their problems lie with how each feels about the Rootless and the gentry, as David and Madeline differ in opinion at times. David and Madeline's relationship has got to be one of the most intense and yet swoony relationships in YA lit! I absolutely adored them, and was cheering them throughout the book. The setting is amazing! I love how creative and original it seems, even if the general idea of this society is not new. All the glittering society and gorgeous dresses can't hide the exploitation of the Rootless, hence the conflicts. Landry Park is a magical place, even when it is turned into something ugly (metaphorically) by the Rootless. Many more secrets are uncovered, and the stakes get higher and higher as this book continues. Since this is a conclusion novel, I will be extra careful not to say things about the ending. But I will say that things get crazy and surprising (from start to finish, really). I really liked how things wrapped up, on many different levels, though the author really makes everyone work for it! I honestly can't think of anything I didn't quite enjoy about this book. I'm not just saying that because I'm on the blog tour for the book, or because the publisher sent it to me. No, I genuinely liked this book! I've already reread some of my favorite scenes. Love! I would so recommend this series in general! And definitely this conclusion novel, it was brilliant. Even better than its predecessor, which is always a nice thing to say. This series is wonderful! Not like the dystopia novels I'm used to reading, which is a great thing. A classic, for the age! I like the "for the fans of Pride and Prejudice" in the synopsis, that actually makes sense! 4.5 stars -> rounded down to 4 stars (no real reason, just that it's not quite a five-star read, so I round down). I can't wait to see what Hagen comes up with next! I'll be reading it for sure. 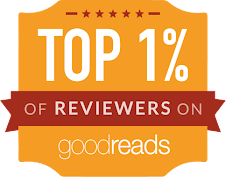 I read Landry Park and I'm quite keen on reading this one too, even more after reading your review and knowing how much you loved it! This is a must have for me to read. Great review. Makes me want to read it even more. That is a great choice, Sandra! 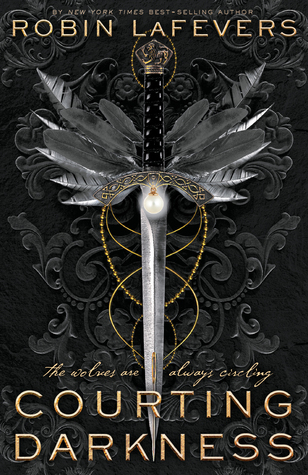 So you mentioned For Darkness Shows the Stars in your review which means I need to read this series asap! I've been meaning to read the first book for a while now. I think the characters sound great and I especially like the sound of that romance. Glad to know this was such a success for you, Alyssa! YES! I'm glad I made tat note. You might love this series, Nick! This sounds good! So does Landry Park! Binge-read the series for sure! Loved it and look forward to more books by Bethany Hagen. I think you should, Janna! Beautiful cover and sounds really good too. Wow an almost 5-star reading! Why have I never heard of this series? Now I'm really curious, I added it to my TBR and hope to read it soon! Wow I love the cover! I've heard of this book so many times from so many sources... I think I need to begin the series soon! AGREED! So much! I've already reread parts of it, which is somewhat rare with non-favorite books. Although, this is probably a favorite. It was so great! I hope you read the series and enjoy it, Carina! :D Thank you! I loved the first book!! I can't wait to read this one! I just loved Landry Park, so I'm really excited the sequel is finally here :) It sounds like it will live up to the first! YAY! Emily, I hope you love this book when you read it! Honestly, I totally forgot about Landry Park in the swirl of books I read last year but I am still so excited for Jubilee Manor. I love the redesigned covers!! And I'm also a huge fan of Madeline! She's just so smart and clever and a nice break from all the physically strong female characters that I usually read about. Aren't they beautiful covers? I hope you love this one, Isabella!